Berghahn Books - Girlhood Studies is Now Published in Association with the IGSA! We are delighted to announce that Girlhood Studies is now published in association with the International Girls Studies Association (IGSA)! The IGSA is an association that brings together scholars and practitioners to share information, encourage discussion, and work to develop the field of Girls Studies. 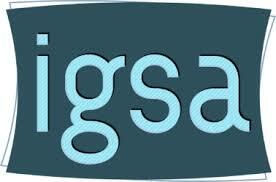 An IGSA membership includes an online subscription to the journal. As the 2nd IGSA conference which is taking place at the University of Notre Dame approaches on Feb 28, the Guest Editors of the latest issue of Girlhood Studies reflect on the papers presented at the inaugural conference in 2016. View the latest issue of Girlhood Studies.